Contortionists never cease to amaze while the body bends, folds and accomplishes seemingly impossible and almost non human shapes and configurations with alarming ease. 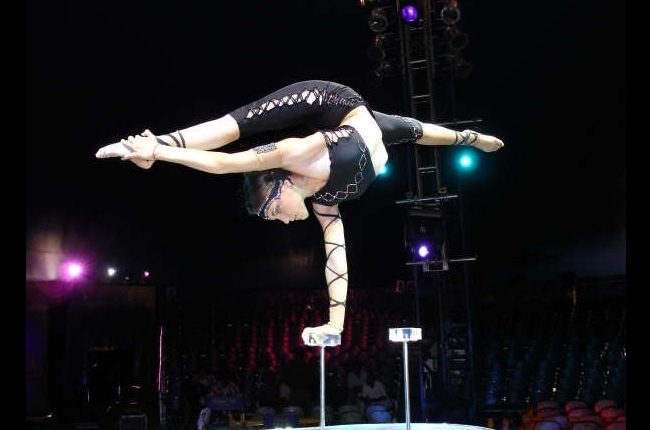 Some contortions also incorporate an extra element of balancing the contorted body on hand, single foot or mouth, often on tops of props. With highly controlled discipline, skill and focus, these extraordinary artists inspire awe in audiences wherever they perform.